Structural fires are trending toward burning hotter and faster due to the nature of materials used for interior finishes and furnishings. In addition, larger “box” type stores and warehouses with vast interior spaces are becoming the norm across the country. For these reasons, a new tool is necessary to assist firefighters in finding their way out of harm as quickly as possible. 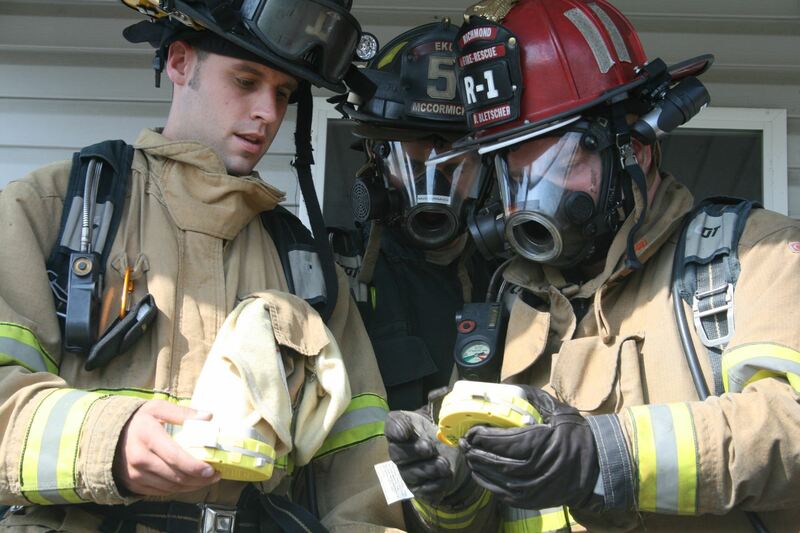 Halcyon Products, Inc. has developed an affordable, easy-to-use fire rescue product that can be used by all firefighters. 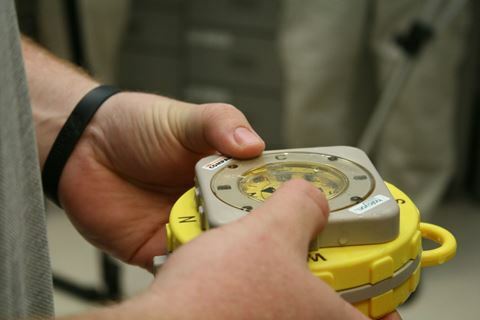 This tool will orient firefighters at an emergency scene thereby reducing the possibility of the firefighter becoming lost, trapped, injured or killed. Keep unit flat or level. Turn light on if necessary. Orient to north. Keep at this position for steps 3 and 4. Per command, rotate square building bezel so that A side rests at the designated clock position. Per command, rotate outer ring to show location of command post at the designated clock position, or point of entry.